Our PDO Thread Lift training course is perfect for Aesthetic practitioners looking to master the art of the non-surgical facelift. 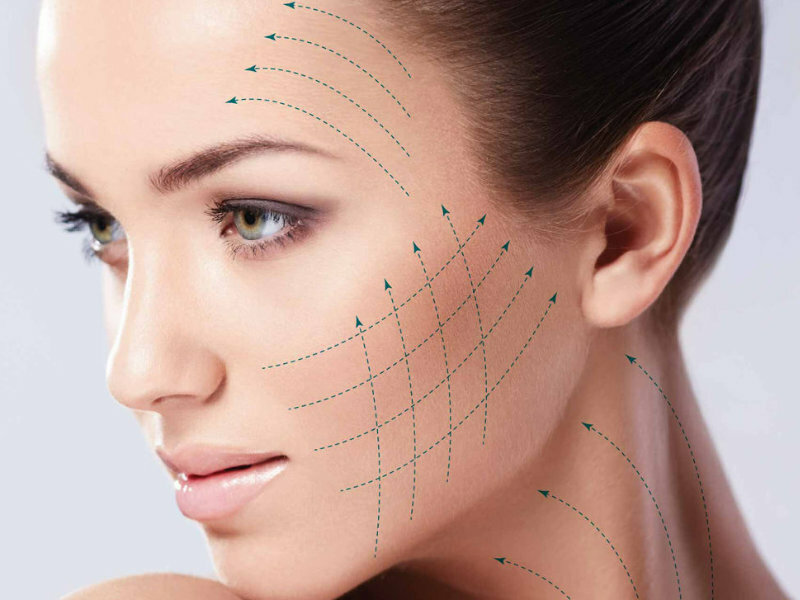 The “No Blade Facelift” is the new trend made popular by numerous celebrities recently and it is an excellent and effective non-surgical technique to lift and tighten skin. In the right hands, it has the potential to re-define facial contours and induces collagen production. The treatment forms part of an integrated support structure for the tissue of the face by encouraging natural collagen synthesis with immediate results that peak at 6 months and last between 2-3 years. On this course, we aim to help you master a technique that will set you apart from most routine cosmetic treatment providers and enable you to step into the future of advanced cosmetic procedures. We will cover all you need to know in order for you to treat your patients confidently and safely; including anatomy, use of local anaesthetic, consultation and assessment, managing complications and aftercare. You will perform this procedure on live models under the supervision and guidance of highly experienced aesthetic practitioners who are also trained surgeons. Pharmacists who have completed foundation, advanced and masterclass cannula training.